Police and kind members of the public joined forces to help clear loose horses which had forced a road closure. The Highways Agency reported the incident about 10am, today, Easter Sunday, April 1, confirming that horses had got loose on the A38 road between the A61 near Alfreton and the A610 roads. 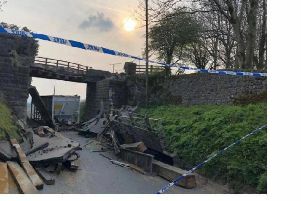 Derbyshire Constabulary who were called out to help deal with the incident thanked members of the public who assisted in bringing the situation under control. Police confirmed that the horses have now been safely contained and both north and southbound carriageways of the A38 have been re-opened.